Abstract: Invincible and the order of the songs. 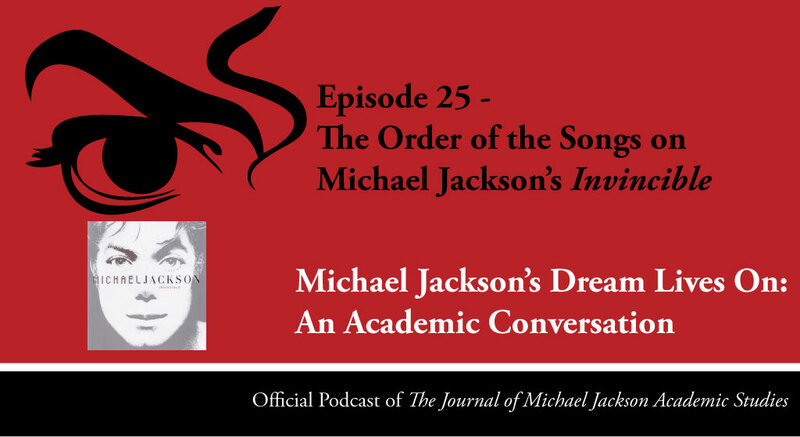 Karin and Elizabeth, discuss the last studio album of Michael Jackson, Invincible. The main question is: Is there a specific order in the way Michael Jackson assembled the songs on his album Invincible, and to what extend do they have a relation to the various colours used on the cd covers and/or the portrait? 1. 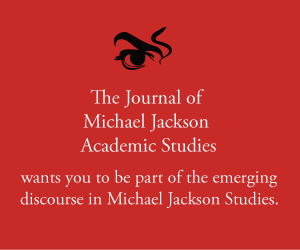 E. Amisu, ”Crack Music’: Michael Jackson’s Invincible’, The Journal of Michael Jackson Academic Studies, http://michaeljacksonstudies.org/crack-music-michael-jacksons-invincible/ vol. 1, 2 (2014). 2. E. Amisu, ‘Invincible: Michael Jackson’s Lost Late Album’, The Dangerous Philosophies of Michael Jackson: His Music, His Persona, and His Artistic Afterlife (Preager 2016) 147-154. 3. J. Vogel, ‘Invincible‘, Man in the Music: The Creative Life and Work of Michael Jackson (Sterling 2011) 218-249. 4. Z. O’Malley Greenburg, Michael Jackson, Inc: The Rise, Fall, and rebirth of a Billion-Dollar Empire. (Atria Books 2014). 5. M. Smallcombe, Making Michael: Inside the career of Michael Jackson, (Clink Street Publishing 2015).